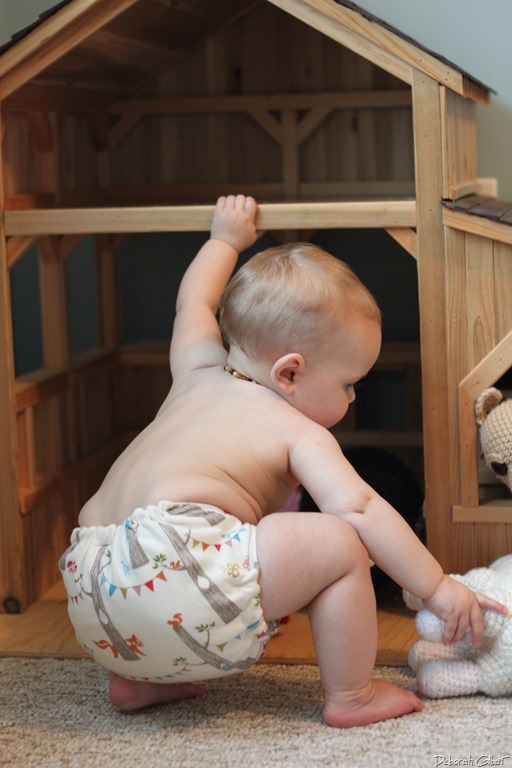 Patty Pants cloth diapers are one of my favourite fitted and hybrid diaper companies. 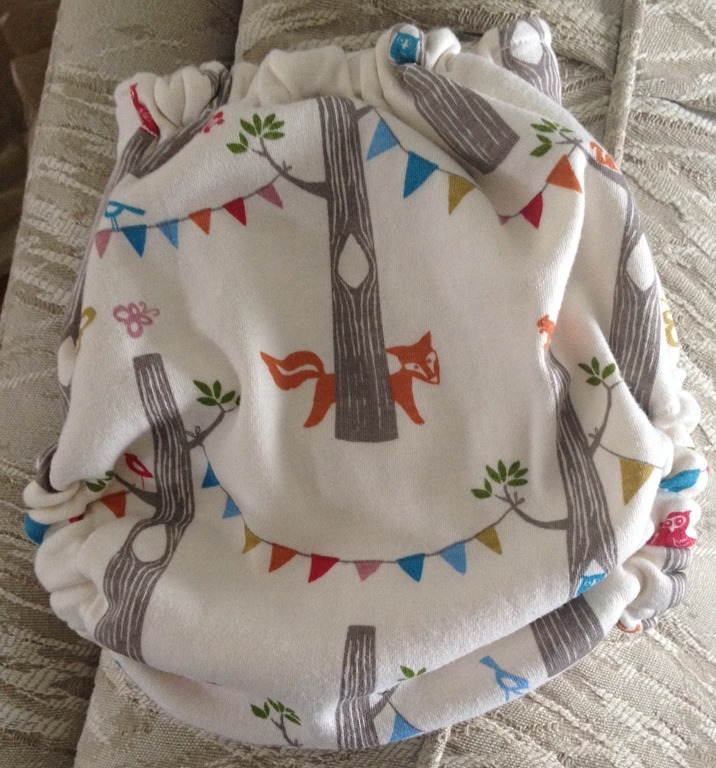 They are a Mother-Daughter duo set in Metro Detroit and together they make the most fantastic cloth diapers. Patty (Mom), does all of the sewing, and Kate (Daughter) helps put them together, and is in charge of all of the social media. A few weeks ago during one of their stockings (when new diapers go up for sale) it was announced that they were adding a new product to their lineup. I was super excited when I saw that it was a wool cover to go over the fitteds/hybrids for extra dryness. In our house we use fitteds and wool on a daily basis so this made me very excited. I was very excited when Kate and I chatted about the idea of a blog review on the new wool cover. I have never used this style with snaps before so I was very intrigued. When I opened the package the first thing I noticed was how very soft this cover is. One thing I think people get in their heads about wool is the scratchy sweaters that were forced over their heads as children. Well let me just say this is the total opposite. 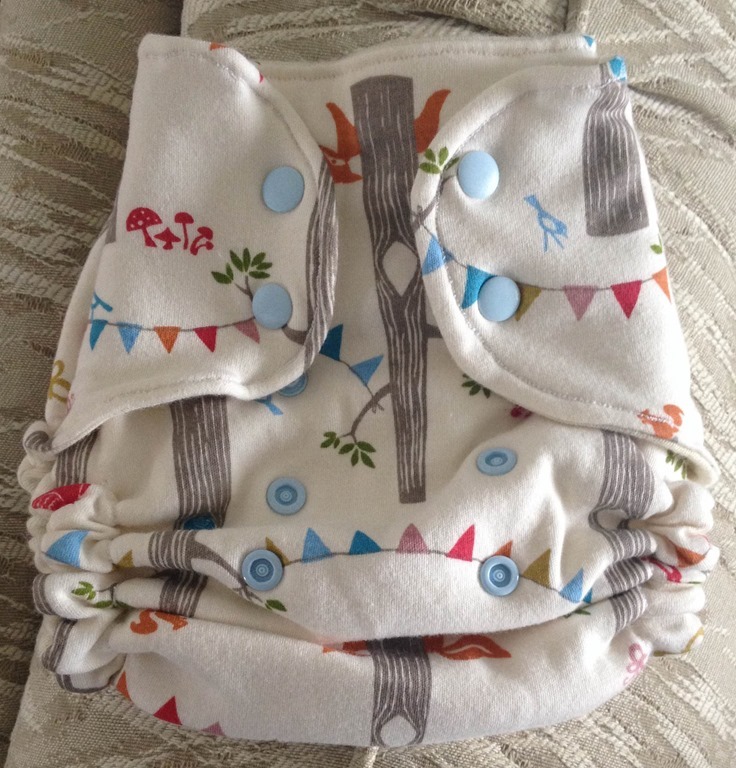 The inside of the diaper is made from a lush and soft merino wool interlock, and the outside of the cover is made from organic cotton interlock, which comes in super cute prints. One question I was asked on my local cloth diaper page was if the outside cotton got gross or sticky when lanolizing it? The answer is NO!! You can use a spray lanolin, or dry lanolize it, or you can soak it in a water/lanolin mixture if that is how you do your other wool. One of my favourite things is that it fits both my chunky monkey 10 month old, and my super skinny 2 year old because of the snaps. Sometimes it is hard finding wool that fits multiple babies so I really enjoy the snap feature. It is also SUPER stretchy which makes it so amazing for night time because you know that it is covering the ENTIRE fitted underneath so there is no transfer of pee onto their pjs or bedding. I found this an amazing night time cover, and it worked great under her pjs. I think the only thing I would add would be cross over snaps on the tabs just so if I had a smaller baby I could get a tighter fit on the waist. But it does have snaps to make the rise shorter for smaller babies which is great. So do you want one of your own?? Because Patty Pants has offered up a wool cover in the same print that Miss Lyra is wearing. Enter below. Open to USA and Canada. Giveaway ends November 6th, 2014 at 12am Eastern Canada Time. Print Placement will not be the same as below as that is my cover, but it will be the same pattern. Thanks for this review, I’m going to check this out.